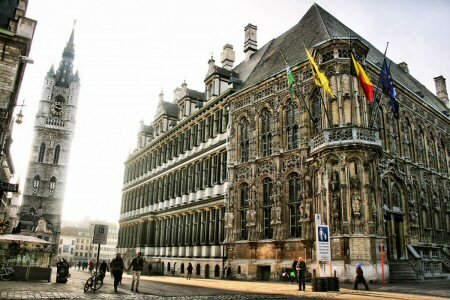 Last month, the City Council in Ghent, Belgium voted to ban companies involved in human rights violations from doing business with the the city. Palestinian solidarity activists with the group Ghent Action Platform Palestine (GAPP) were the driving force behind this vote. Similar votes have also been passed in response to Israel’s violations of Palestinian rights in dozens of cities, including Barcelona, Valencia, Dublin and Trondheim. This vote reflects a growing commitment to hold Israel accountable for its grave violations of Palestinian human rights. A growing number of city councils across the world are increasingly unwilling to be complicit in human rights violations committed by Israel or any other country. The BDS movement for Palestinian rights congratulates the people of Ghent for scoring a victory for human rights and fair trade, and for Palestinian human rights in particular. Over the past year, Ghent Action Platform Palestine (GAPP) has also successfully gathered signatures from more than 10% of Ghent’s residents in support of making the city an Apartheid Free Zone. If Ghent becomes an Apartheid Free Zone, the city will not only end business with companies complicit in violations of human rights, but will also specifically denounce Israel’s system of apartheid and adopt a coherent policy of non-cooperation to help end its oppression of the Palestinian people. Given the City Council’s vote, Ghent’s residents are now a step closer to this goal.